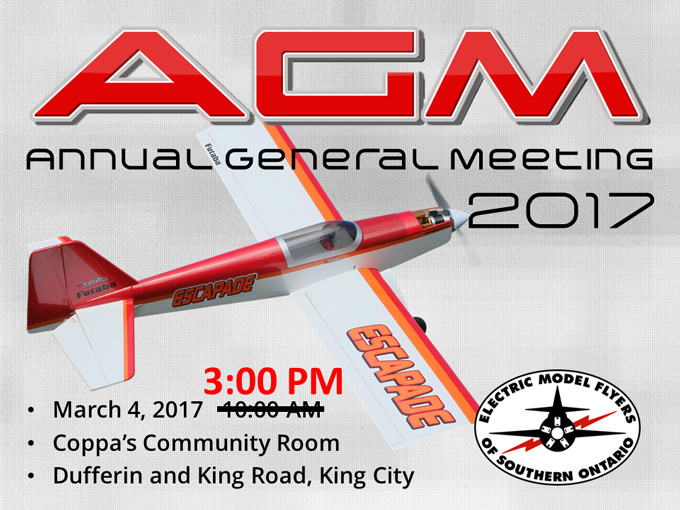 Please note new AGM start time, 3:00 PM. Why the literally last-minute change to the time of the meeting (one day before the meeting)? We don't know the family involved but on Thursday, Coppa's attempted to contact us about a family that needed to use the room from 11:00am to 3:00pm for a very large birthday party. After they couldn't get us, they made the change and were able to get hold of us Friday. That is why the sudden change. It was completely out of our hands at that point and there may have been a family connection to the store. The meeting was a success but we did have to begin it outside of the room as the party (don't they always?) went overtime by nearly 45 minutes so we got the room at 3:30pm. It was over at 5:30 upon which a few of us had dinner at the restaurant on the main floor. We are considering another workshop in April and will let everyone know ASAP. Take care. A special thank you is extended to Mirv for bringing his latest build to the AGM.